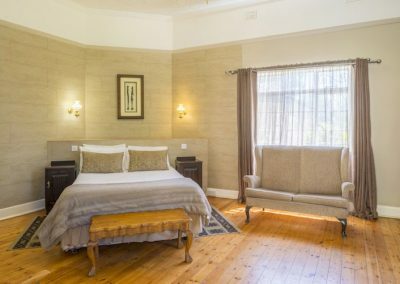 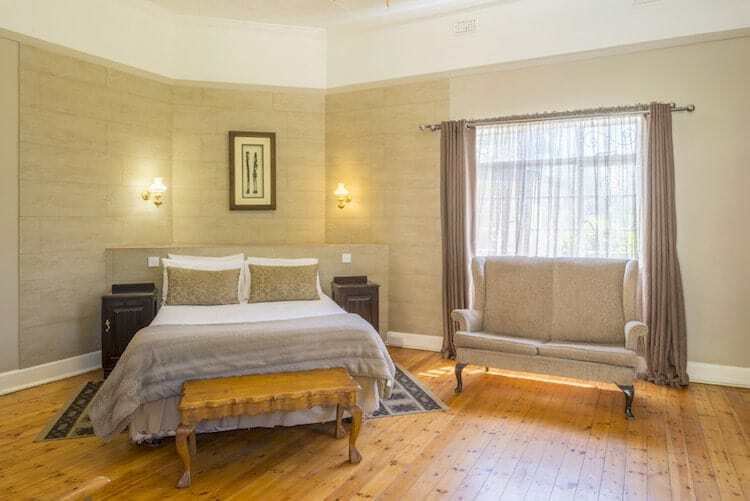 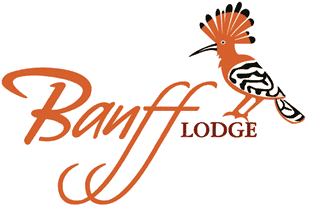 Whilst recently renovating most of our rooms, Banff Lodge prides itself in delicate antique furniture, still holding onto its old-style look, but with that modern twist! 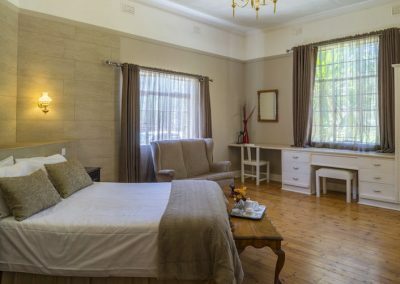 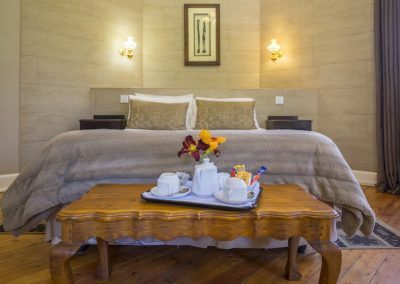 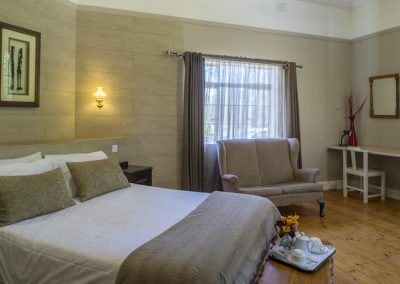 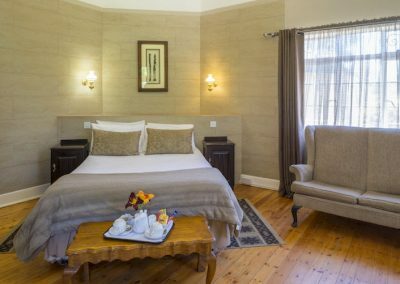 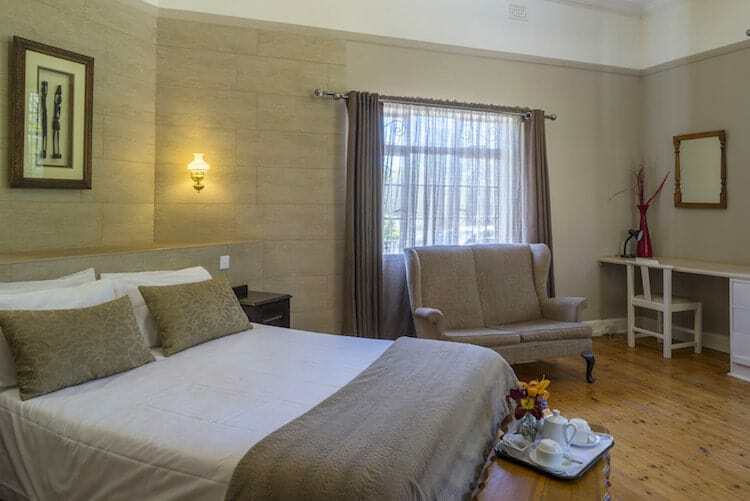 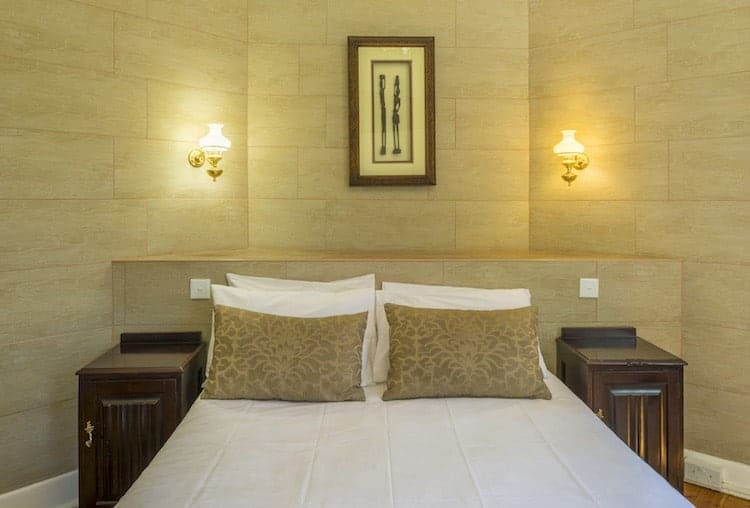 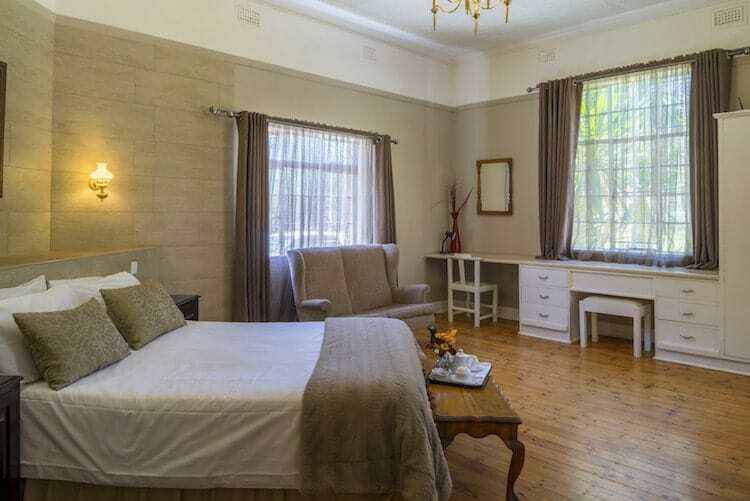 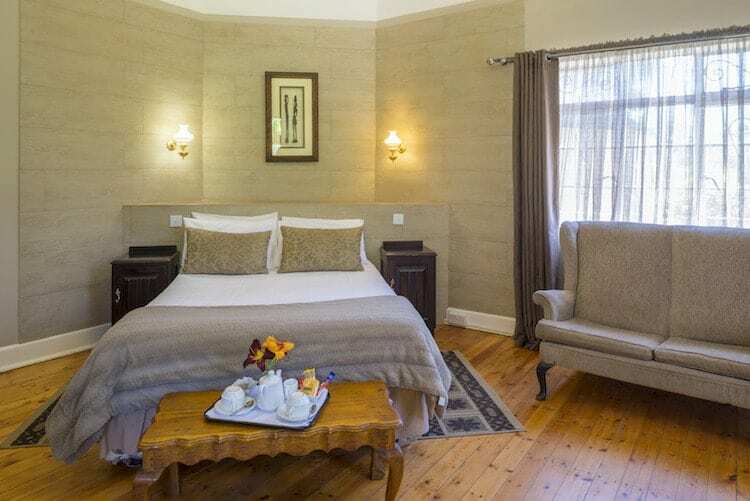 Our rooms are all en-suite and have access to WIFI 24 hours (electricity allowing). 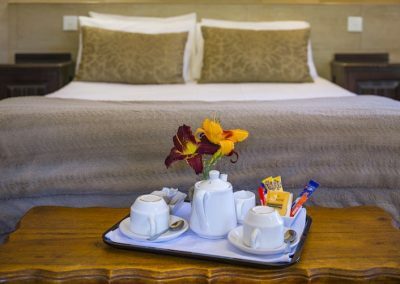 Each of our rooms has a kettle and complimentary tea and coffee daily. 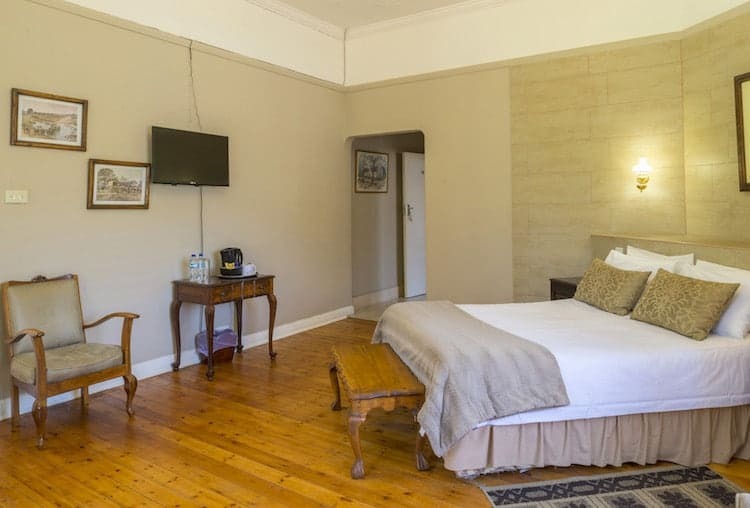 At present, there are no televisions in our rooms, but this is very temporary. 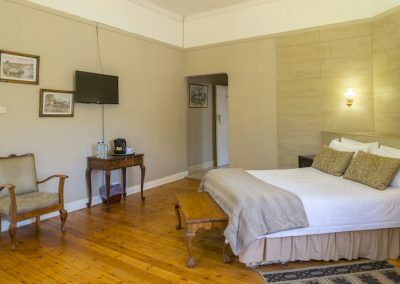 We do however have DSTV in our reception lounge and on The Deck.